Many people today are trying to improve their health by eating a diet that includes more nutrition, raw foods. Over processed, over cooked, over preserved foods have left many people around the world overweight and unhealthy. Let’s take a look at a simple and delicious food that is highly nutritious and can help you get started on putting delicious, raw foods in your diet. Foods sustain life but all types of foods are not good for health. Even foods that are healthy can be dangerous for health if consumed in conditions not recommended by health experts. Any type of food must be consumed only in the recommended amount and f orm. The properties of a healthy food can change for worse when it is processed into a form that is not healthy. Processed foods are considered unhealthy because such food contains synthetic chemical ingredients. These chemicals are used to make processed foods more appetizing, last longer and look better. Because of various health issues associated with commercially produced foods, more and more people are switching to healthier food options. One of the best options in this category is raw foods that retain all natural nutrients. Sprouts as raw foods are rich in essential nutrients like vitamins and minerals. Such foods contain minerals like calcium, potassium, magnesium, phosphorous and iron. Sprouted seeds, grains and legumes already have dietary fiber, omega-3 fatty acids and foliate. Studies have shown that the level of essential nutrients increases many times after these foods are sprouted. If you think only chicken, meat, eggs, fish and dairy products contain protein then here is a surprise. Sprouts are high in protein that can be as high as 35 percent. You can obtain a large part of your body’s protein requirements from the sprouts. Vegetarians and people who prefer raw foods really love sprouts. The high fiber content means sprouts are easy to digest. Individuals suffering from digestive problems can benefit from this type of foods. If you are trying to lose weight then sprouts must be part of your weight loss plan. Foods in this category contain more enzymes, minerals and vitamins compared to most vegetables and fruits. The nutritional value of protein present in the seeds and grains changes for better during the sprouting process. Whether you want to lead a healthy life, reduce your weight, avoid health issues or recover from an illness, sprouts can be your best foods. 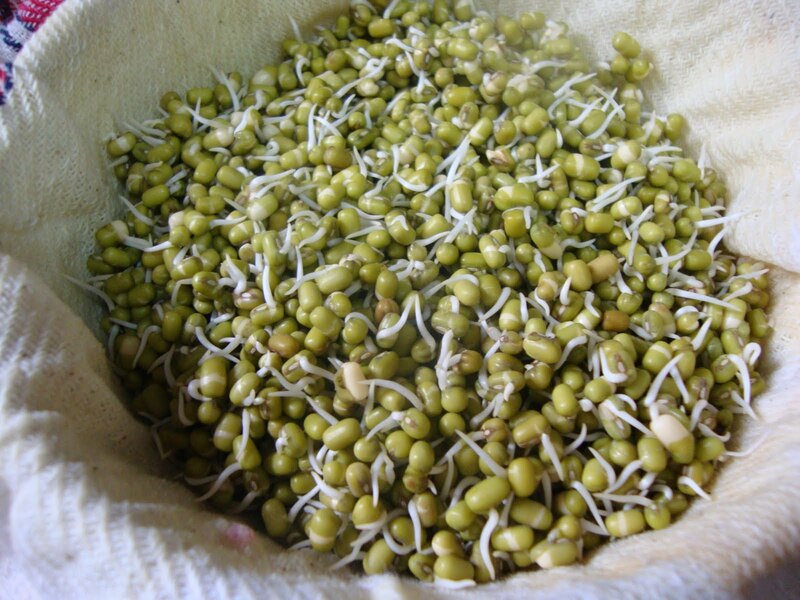 The high nutrition value and positive health effects make sprouts highly suitable for people leading a vegan lifestyle. You do not need any high level of skill to grow sprouts. It can be done by anyone without spending any extra money and without using any special tool or technique. Include sprouts in your daily diet if you want to lead a healthy lifestyle.